Ginny Carter was once a rising star in TV news, married to a top anchorman, with a three-year-old son and a full and happy life in Beverly Hills-until her whole world dissolved in a single instant on the freeway two days before Christmas. In the aftermath, she pieces her life back together and tries to find meaning in her existence as a human rights worker in the worst areas around the globe. Then, on the anniversary of the fateful accident-and wrestling with the lure of death herself-she meets a boy who will cause her life to change forever yet again. Thirteen-year- old Blue Williams has been living on the streets, abandoned by his family, rarely attending school, and utterly alone. Following her instincts, Ginny reaches out to him. Leery of everyone, he runs from her again and again. But he always returns, and each time, their friendship grows. 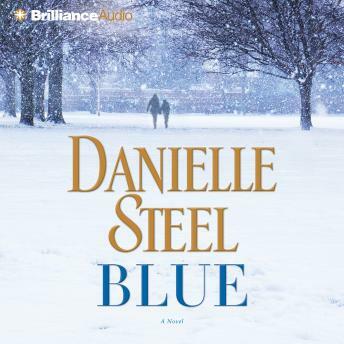 Blue is #1 New York Times bestselling author Danielle Steel at her finest, a probing and emotionally gripping story of dark secrets revealed, second chances, and the power of love and courage to overcome life's greatest challenges. I enjoyed the book.Would be better if the narrator will be a women. I liked this book more as it went on. It had some interesting turns that kept me wanting to hear what was next. Have enjoyed listening to Blue, the story line and narration were quite good. Captivating book! Story was a page turner and a bit different than her other books, which made me like it even more. I loved the book giving it 5 stars. It is a very interesting book. Good listening.